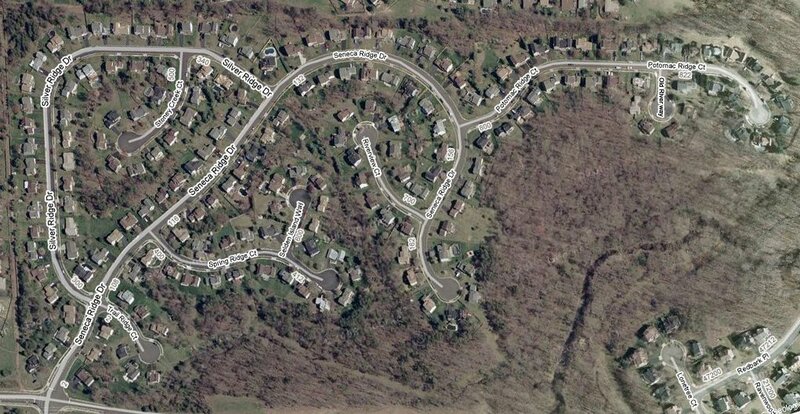 The Seneca Ridge neighborhood is located in Sterling, Virginia near the eastern edge of Loudoun County. Our neighborhood consists of 182 single family homes, numerous walking/bike paths and green areas. The Seneca Ridge neighborhood has been known as one of the safest in the area. This can be attributed to our excellent residents who have shown care and consideration for their neighbors by remaining vigilant to ensure the safety of our neighborhood. The Seneca Ridge Home Owners Association (SRHOA) has been established with the primary intention of creating a safe and friendly environment for our neighborhood and administering the by-Laws and covenants of our community.The Seneca Ridge Homeowners Association is governed by a Board of Directors (BoD). Members of the board are residents who have been elected to these positions and serve voluntarily. The BoD for the SRHOA holds open meetings at 7:00 PM on the second Thursday of every month at Cascades Library. All residents are encouraged to attend. The Seneca Ridge Homeowners E-Mail Listserv– You must be a Seneca Ridge homeowner or resident to participate in this email list. This email list is for personal use only. It is easy to use and provides valuable information to all. If you are a Seneca Ridge homeowner or resident the links at the top of the listserv page are of interest to you. Homeowners and residents must join the list to participate and receive emails sent to the list by other homeowners/residents. Documents on this website use Adobe PDF format. Download Adobe Reader for FREE if you do not have it. Are you selling your house? See this document for important information!